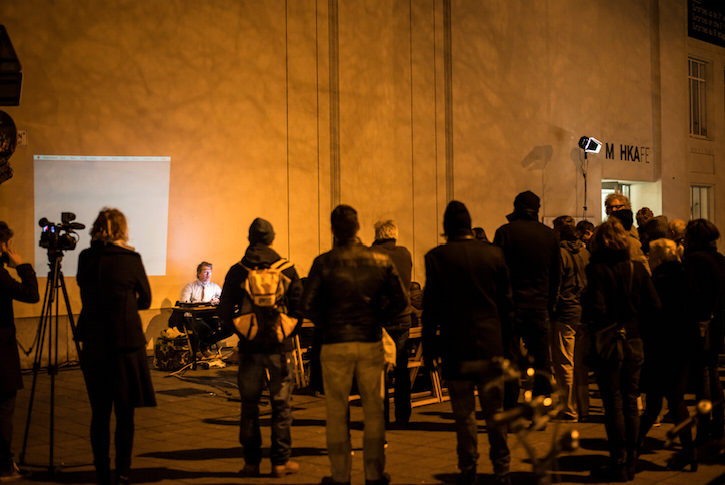 Art in the Parking Space is initiated by NICC in collaboration with Stichting Kunstblock with the support of BesteBuren, providing a platform to (re)establish durable relationships between the Flemish and Dutch visual artists and their art scenes. Art in the Parking Space connects the cities of Antwerp and Rotterdam through the medium of the parking space. 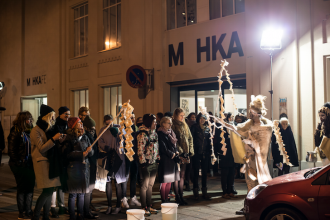 For this edition the parking spaces in the nearby surroundings of institutions such as M HKA and Witte de With will function as departure point. These empty public sites will work as a catalyst to develop, to present and to produce new artistic projects. 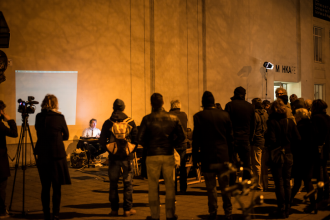 The Antwerp edition on January 17th will take place during Art's Birthday in the parking space in front of the Museum of Contemporary Art in Antwerp. 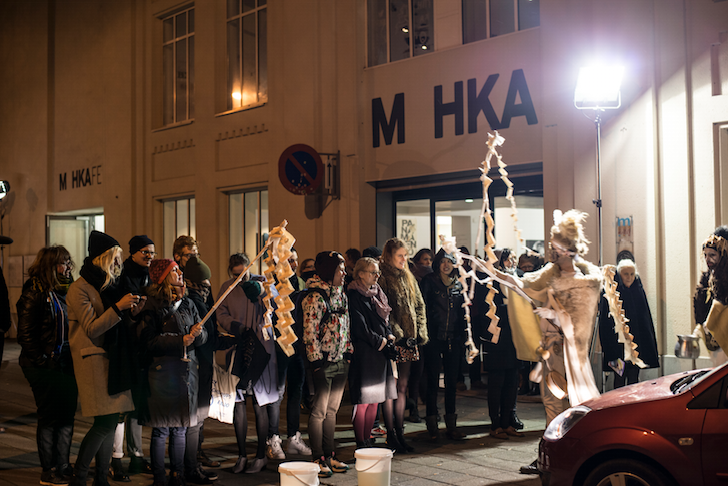 Art in the Parking Space invited Rotterdam based artists for the Antwerp edition and Flemish artists will be invited to create artistic interventions in a trendy shopping street for the Rotterdam edition. Each of the different selected works will reflect on different environments and sets of cultural parameters that define this spaces in the margin of the institutional basin. 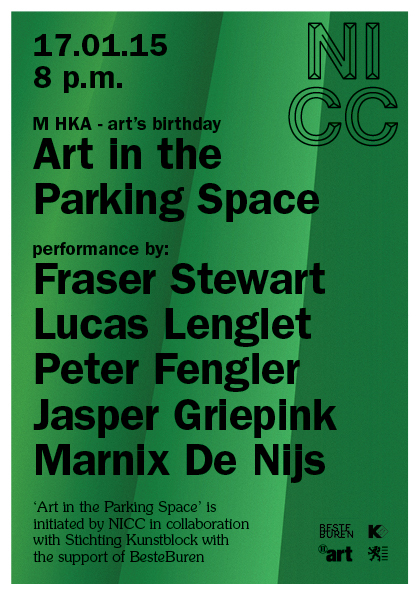 NICC presents Art in the Parking Space in Antwerp and Rotterdam after its first edition in Brussels in 2013. And the project is a continuum of the edition initiated by Warren Neidich and Elena Bajo, presented by LA >< Art.